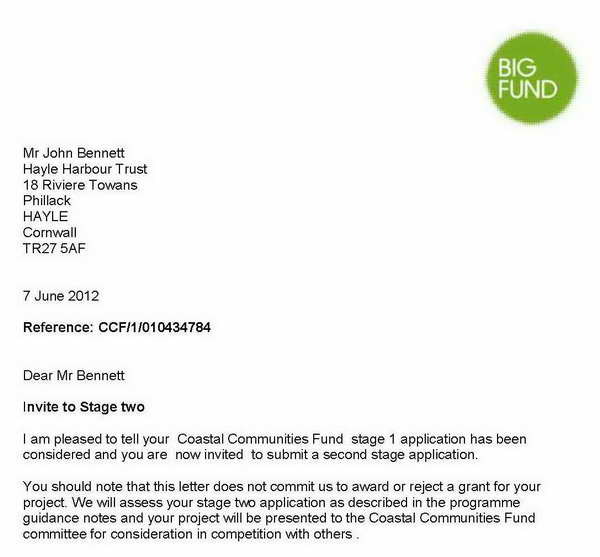 Trustees were delighted to receive the information that our Coastal Communities Fund application has been fast-tracked for 2013. This means that we go quickly into Stage 2 and an early decision is made on our application - perhaps as soon as mid-July. FCB contacted us to offer assistance with our bid and, following a meeting with Penzance resident Matt Williams and partner Jo Wright we were delighted to receive a firm commitment to help us in getting through the planning process. 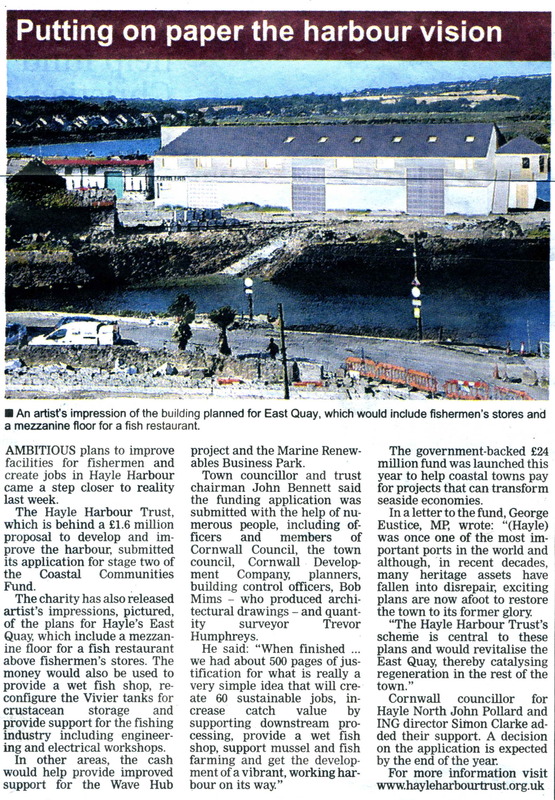 The Cornishman and West Briton had nice coverage of the Trust's application to the Coastal Communities Fund. In early September 2012, the Trust was advised that our application to register as a charity had been accepted and our Registered Charity Number is 1149082. This follows a lengthy period of submissions to the Commission's legal team, conference calls and many emails. 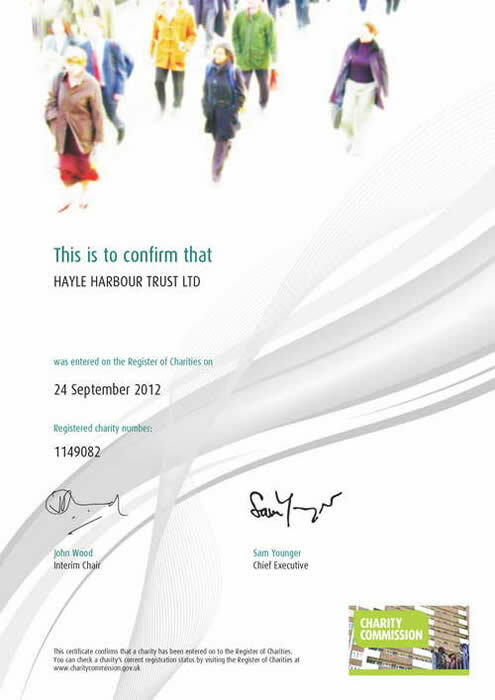 The trustees are delighted that our vision for Hayle harbour has been recognised by the Charity Commission as being entirely charitable. 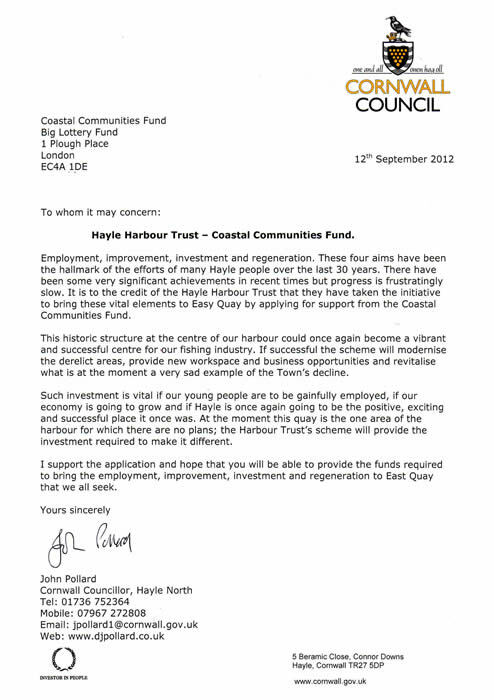 "Hayle harbour has had a half-century of under-investment and neglect. It is now part of the Cornish Mining World Heritage Site and the opportunity has arisen for the community to take over control of the harbour and a substantial part of the adjacent land. This project seeks to achieve quick and sustainable gains to act as the groundwork for ambitious long-term restoration of the harbour; to generate quality jobs in fishing, maintenance and downstream services; and to provide a pleasant and interesting environment for locals and tourists. Specifically we are seeking to renovate existing structures on East Quay to provide facilities for commercial fishing, kick-start shellfish farming and restore and reinvigorate parts of the WHS. 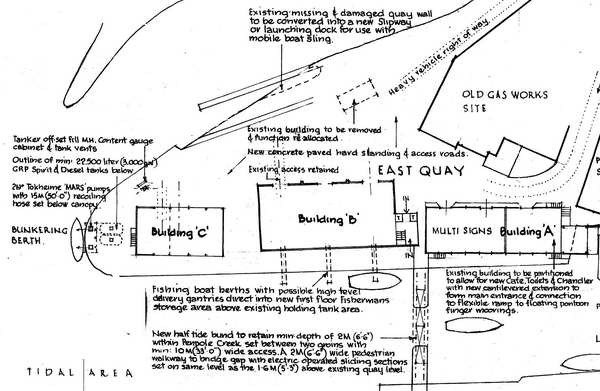 Plans for East Quay include construction of a mezzanine floor to provide a fish restaurant above and fishermen's stores, showers and facilities below; provision of a wet fish shop; reconfiguration of the Vivier tanks for crustacean storage; and maximisation of downstream processing of fish (currently over 90% of landed value goes abroad). We will also provide enhanced support for fishing including engineering and electrical workshops. These straightforward plans do not even require planning permission and can generate many jobs. They will improve the environment and are fully in accord with WHS objectives. Plans for elsewhere in the harbour include improved support for the innovative Wave Hub project and the Marine Renewables Business Park, restoration of the old Town Beach by dredging the main channel and depositing sand and protection and restoration of fish spawning areas." There is a lot of work to do for the Stage 2 proposal, but we are committed to doing whatever it takes to restore the harbour to a vibrant and sustainable state. 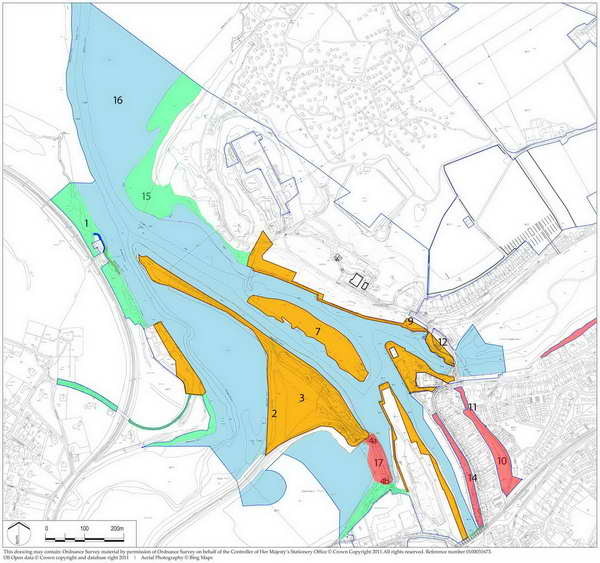 The Trust has negotiated the land and water areas in colour in the map below to be included in the transfer to a Hayle Trust (subject to final discussions). There are additional areas to the east and south that are not covered by this map. An outline of the Trust's plans are included in the document which you can download here. It describes the plans for developing East Quay and Penpol Creek. During the negotiations among the applicants for a supermarket, it was the Trust's policy to remain neutral. 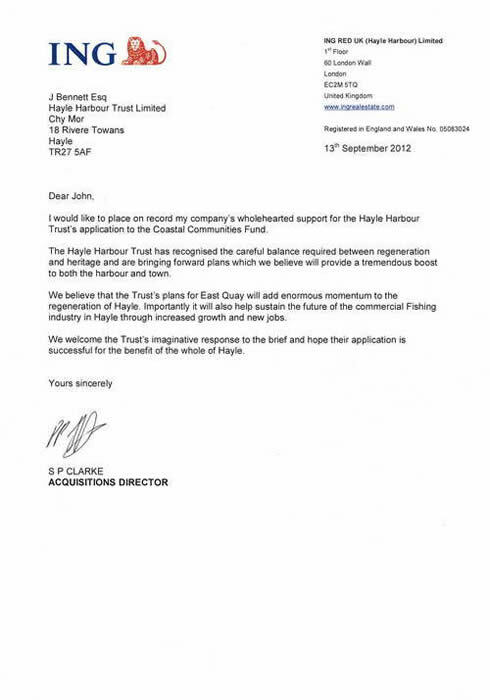 Agreement to hand over the harbour to a local trust. Operations to be funded by a ground rent on commercial and domestic properties to be built around the harbour. Restoration of sluicing. This, and other items, were insisted on by the Trust as heritage compensation as well as a vital component of ongoing harbour operation. The Trust will continue in the negotiation process to ensure that appropriate funding and risk control measures are in place. The Trust's Annual Return has been filed at Companies House. It was due on the 7th of April 2011. 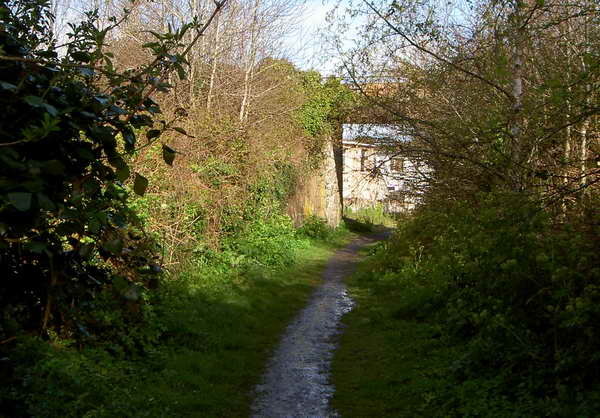 Clean Cornwall Weekend is from the 7th to the 10th of April and our contribution is to have another tidy-up on the old railway line between Hayle Terrace and Hayle Railway Station. Join us at 10am on Sunday, 10th April at the entrance to the walk by Grameen Tandoori and bring gloves, bags, wheelbarrows and tools. We will have a skip for general rubbish and our objective is to remove rubbish and to tidy up with grass cutting, trimming, etc. If you can bring a mower or scythe, chainsaw or lopping shears that would be great. Please donate a couple of hours and help us to make this a great place for walkers to enjoy. The clean-up exceeded all expectations thanks to the many volunteers and the fantastic support of Geoff Henwood and his flail and Chris Lello's digger driven with verve by Ian. The corporate support was fantastic with free skips from the Green Waste Company and Jago Skip Hire and insurance cover paid for by ING. Below are before and after photographs of the historic, listed sand drag - believed to be the first of its kind in the country (and long hidden from view). Some of the original rail is still there. A proper excavation and restoration is a future project. The Work Started on Saturday - But there is still plenty to do. Shown here is the result of Geoff Henwood's flailer. Can you spot the before and after? Amazing Post-Christmas Weight Loss Opportunity! 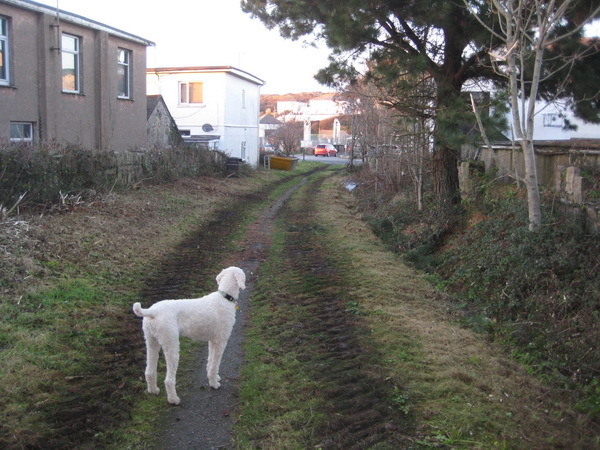 The Hayle Harbour Trust has agreed with ING a plan to clear up the footpath and area leading from Hayle Terrace to the railway station. 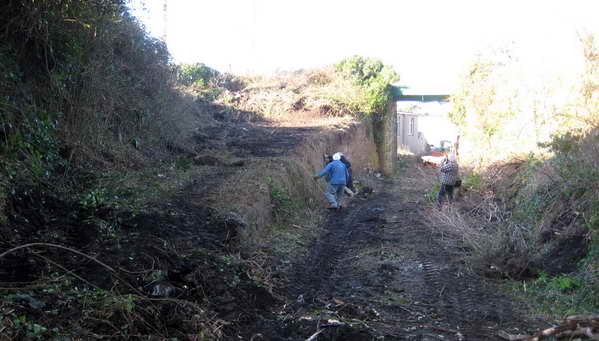 We will be working on Sunday, January 9th starting at 10.00 am (but come when you can) and all volunteers are welcome. Bring sturdy boots, gloves, eye protection and whatever tools you have for trimming, cutting, raking and sawing and bags or containers for collecting the debris. 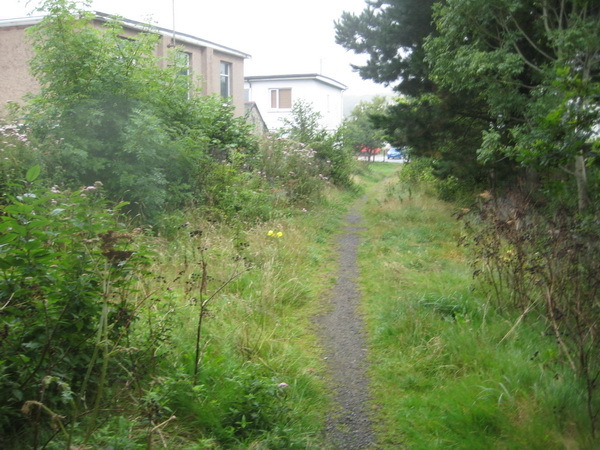 If all goes to plan, ING will designate the area a public footpath or a village green. Cornwall Council has now concluded the negotiations with ING and the planning applications have been approved. Given that the objective of bringing the whole harbour into trust ownership is unlikely at this point, the Trust is now focusing on identifying parts of the harbour that will not be developed by ING and yet could be developed for local benefit. 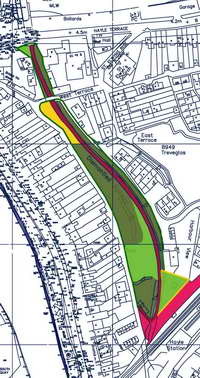 Two areas were identified for early discussion with ING: the old railway line leading to Hayle Station and the Triangular Spit past Carnsew Pool out to the estuary. ING’s public relations person, Gary Cartmell, was able to arrange meetings between FOHH and ING’s management team and these proved very positive. An outline protocol was discussed and it was agreed to focus initially on the Station Approach. 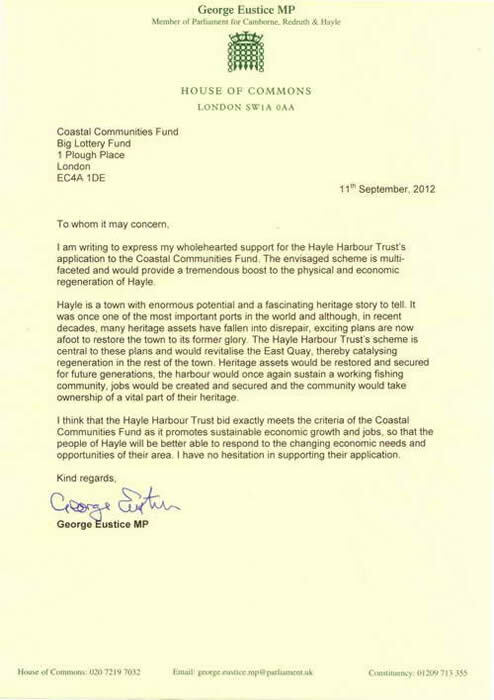 Following a further meeting and a visit to the site, an accord started to emerge whereby HHT would produce a plan detailing how the land would be cleaned up, the historic sand drag cleared and brought into view, amenities such as play areas added and long-term maintenance considered. In return, ING would consider transferring the land for public benefit. The Trust is now preparing a detailed plan for clearing the site and we need your help. We need volunteers, equipment, company support and professionals to assist in making the area a marvellous recreational area for the people of Hayle. If you are willing to give a little time to helping us, please email: chairman@hayleharbourtrust.org.uk or drop a note addressed to Hayle Harbour Trust in the letter box at the Passmore Edwards Institute on Hayle Terrace. Sir John Banham is a Cornishman, a former Director General of the CBI and has chaired some of Britain's most successful businesses, creating more value than any other FTSE leader. (click here for more details of Sir John's background). When given details of the objects of the Trust, Sir John offered his immediate support - and started floating ideas on ways to proceed. Sir John's outstanding experience will add support to a board which already includes a local MP, a barrister and Fulbright scholar, a chartered surveyor, a professional engineer and successful local business people. In addition, Sir John knows how local government works having been the first Chief Executive of the Audit Commission when it was established in 1983 to monitor efficiency and seek better value for money in local government. Under Sir John's leadership it identified improvements worth over £2 billion a year and launched a range of reforms now being implemented in local government finance including the management of secondary schools, council housing and community care. 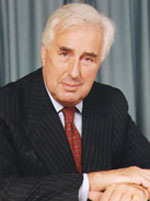 In 1992 he became the first Chairman of the Local Government Commission for England. This resulted in the creation of 48 new unitary authorities in England, and the restoration of the historic boundaries of the Counties of the East Riding of Yorkshire, County Durham, Gloucestershire, Lincolnshire, Somerset and Rutland. Board members are extremely pleased to be able to call upon the wealth of knowledge that Sir John brings. 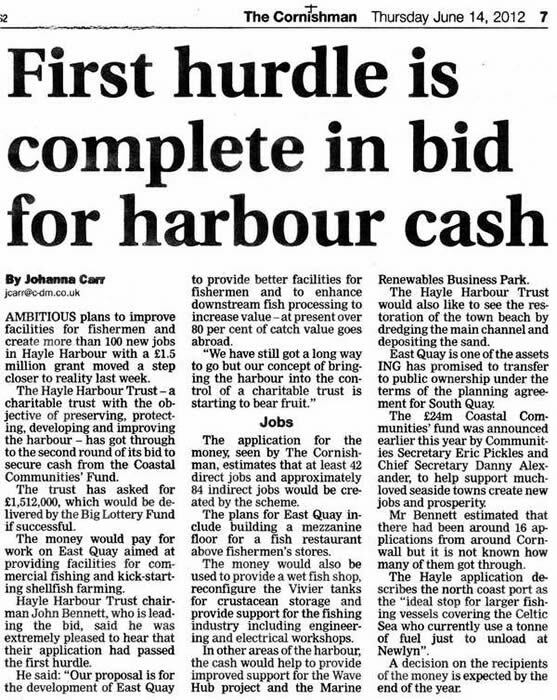 This is excellent news for the future of Hayle Harbour. 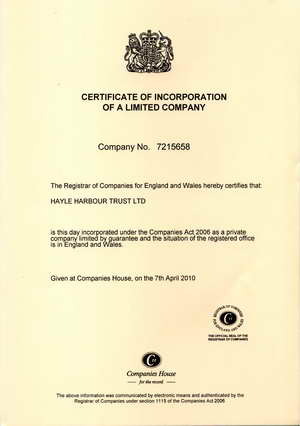 Following the formation of Friends of Hayle Harbour, a mandate was given for the creation of a charitable trust with the intention of bringing some or all of the harbour into trust ownership. 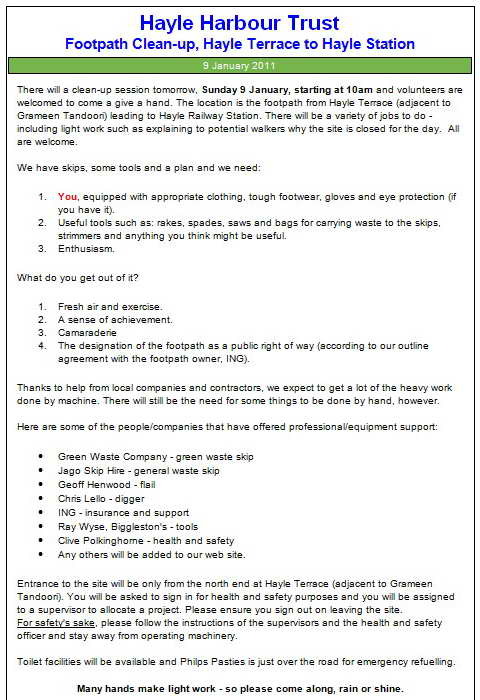 To maintain and operate the harbour facilities at Hayle harbour in Cornwall. f. the relief of unemployment by the provision of education, training and re-training opportunities and work experience. The advancement of amateur sport for the public benefit by the provision and maintenance of facilities for water sports. The advancement of health or the saving of lives for the public benefit by the maintenance and operation of facilities for training in life saving.